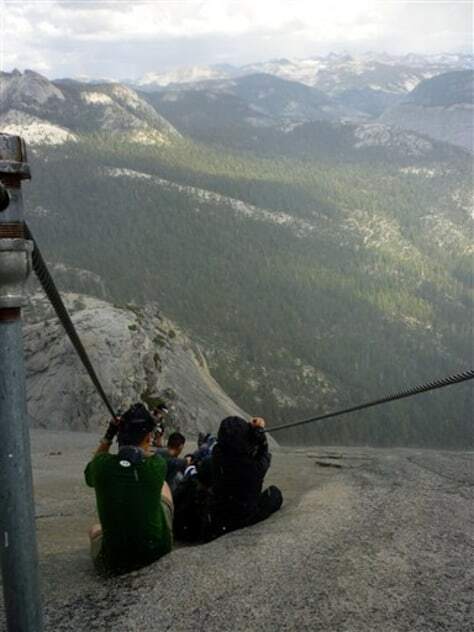 In this Sept. 24 photo provided by Armando Castillo, hikers descend Half Dome in Yosemite National Park. Armando Castillo knew he should not attempt the last treacherous stretch up Half Dome with storm clouds looming. But he felt he had come too far not to accomplish his goal.